There’s a child in all of us. That little person who once loved to collect toys or play with Legos. 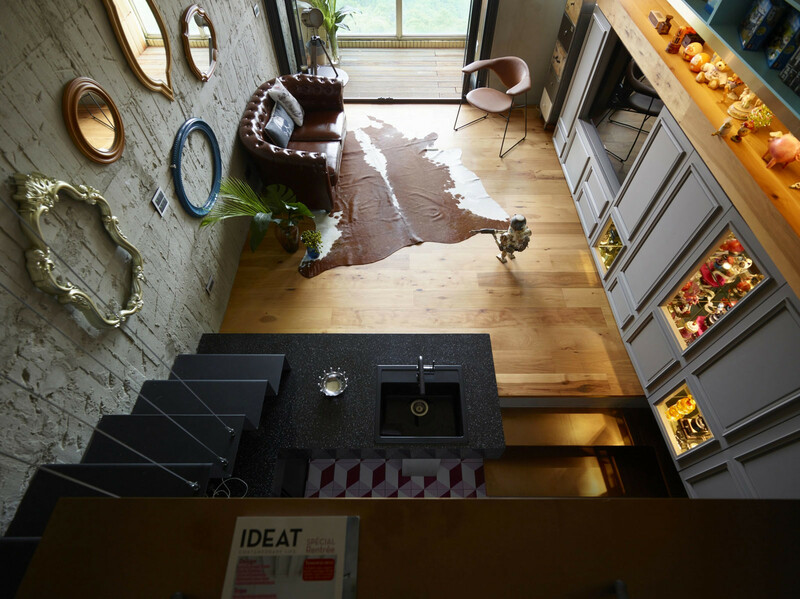 So, when you come across a home such as the tiny Residence Yeh, you can’t help but feel a sense of nostalgia. 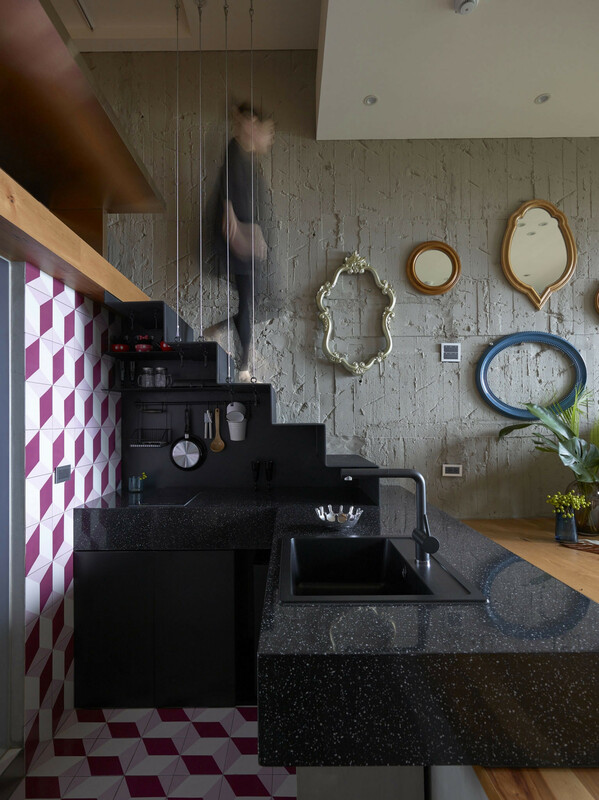 The 538 square feet (50 square meter) home is located on the outskirts of Taipei, Taiwan, and even though it’s abnormally small for a permanent residence, the apartment packs a playful punch of eclectic interior. 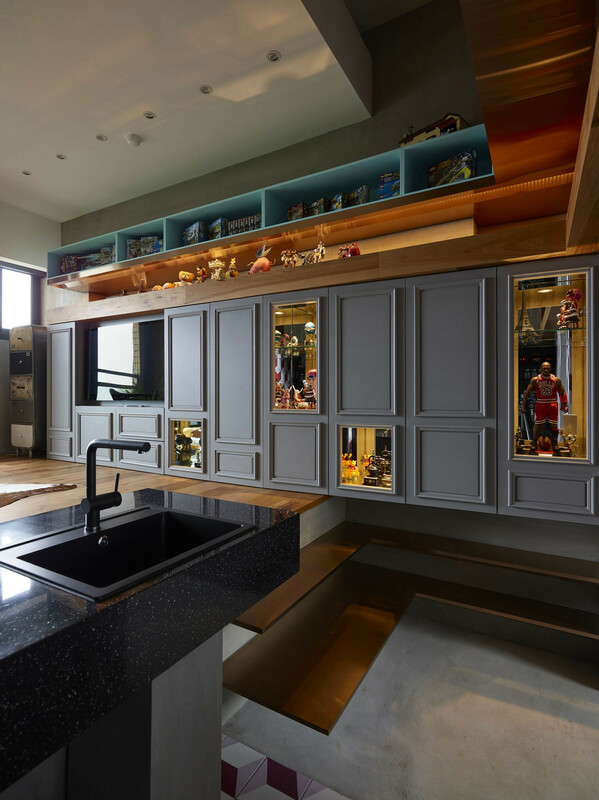 Designers KC Studios had quite the challenge of fitting a functioning home within less than 600 square feet let alone incorporating storage and space for the homeowners’ love of toy collecting and Lego building. 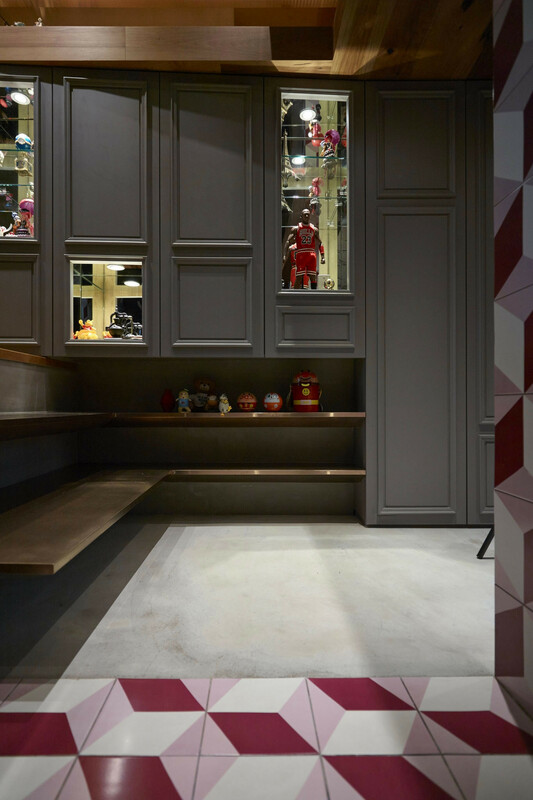 Upon entering the space, you’re immediately in the center of the home, surrounded by a long wall of painted grey cabinetry which stores the couple’s toys and other belongings. 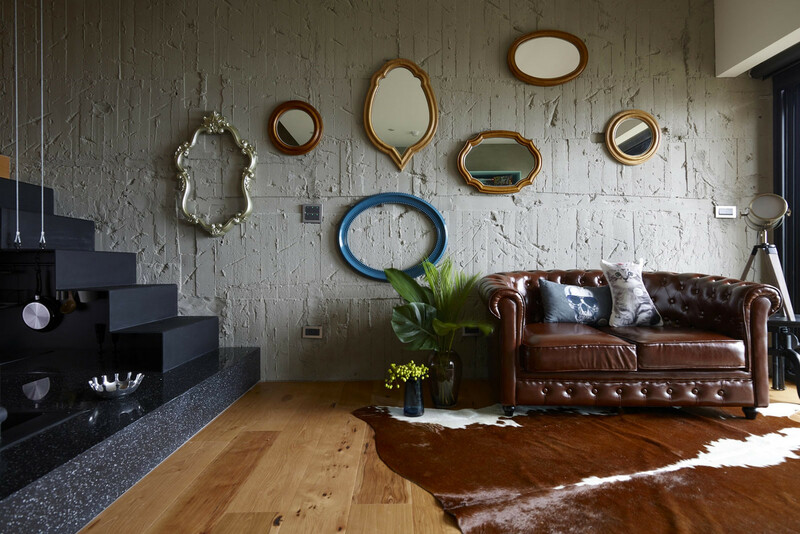 On the opposite side, you see a cozy living room complete with a brown leather couch and cow skin rug. 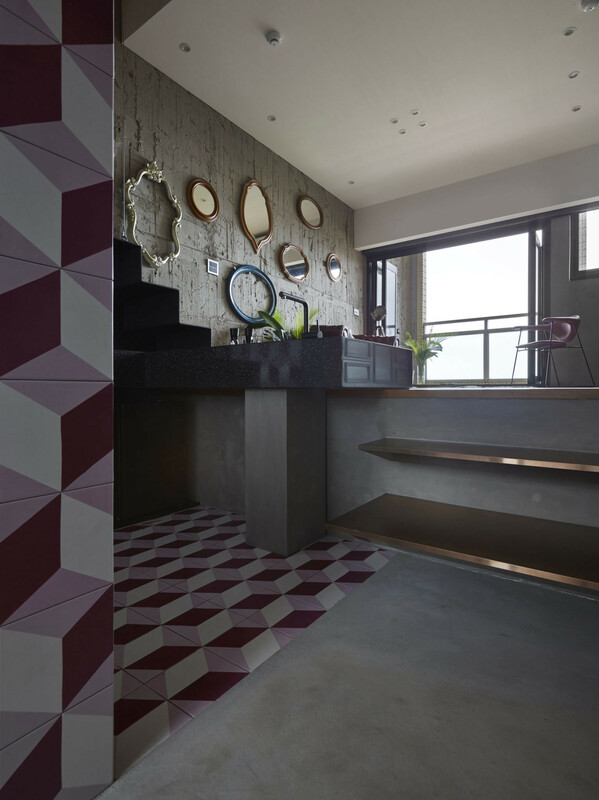 The warm tones contrast beautifully against the exposed concrete behind it. 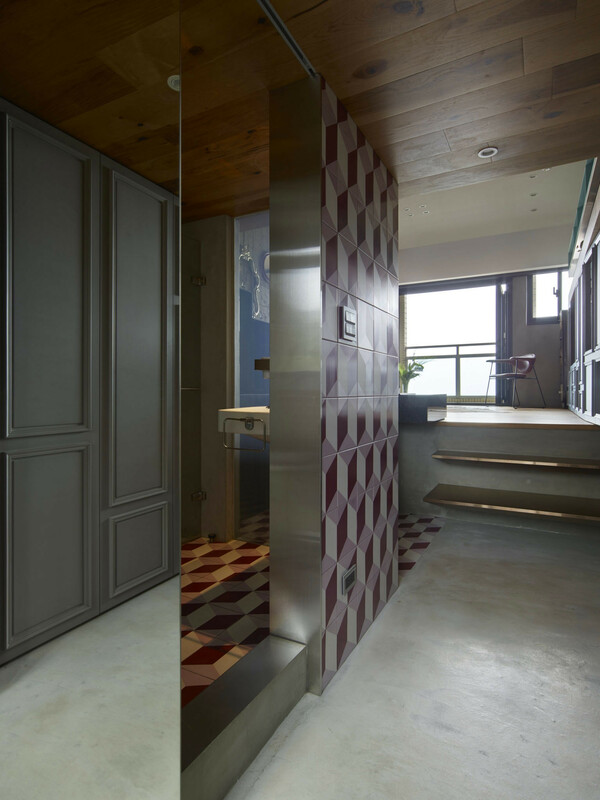 The way the designers stacked the bedroom on top of the kitchen and bathroom saved tons of space, and opened up the apartment for toy building and made room for the owners character. 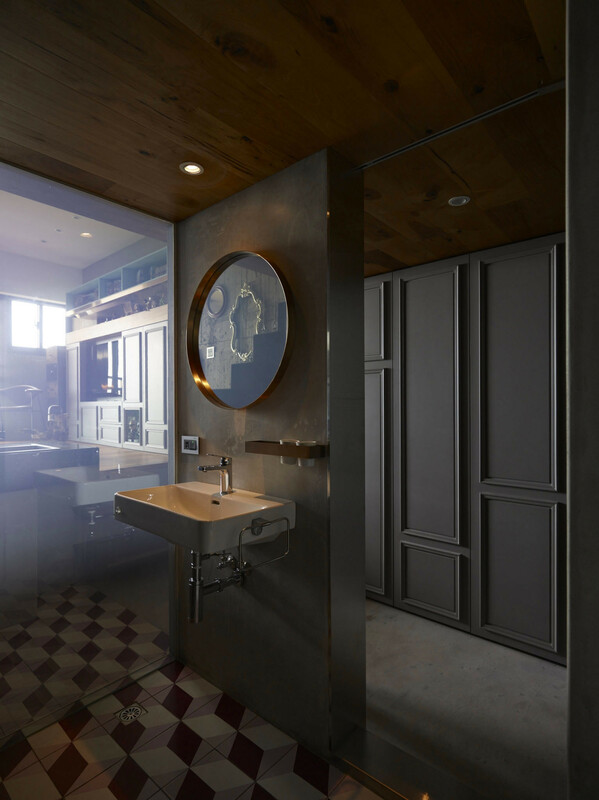 The eclectic interior of the space shines through in the use of warm tones and soft textures that are mixed with the cold black granite countertops and purple geometric tile work in the kitchen, which carries around the corner to the bathroom. 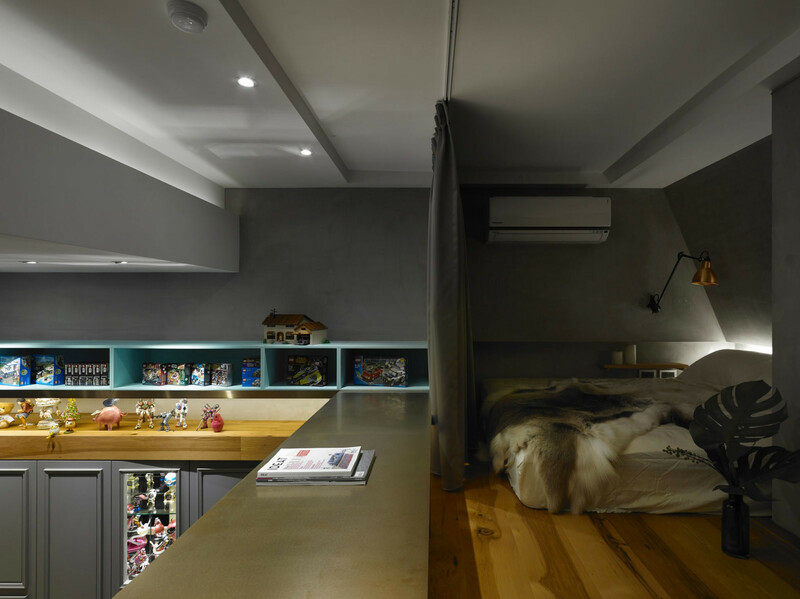 Space was the main obstacle when designing this interior, but they pulled it off by utilizing the height of the main living area. All along the top of the long, grey wall of storage is more shelving space painted a pop of teal. 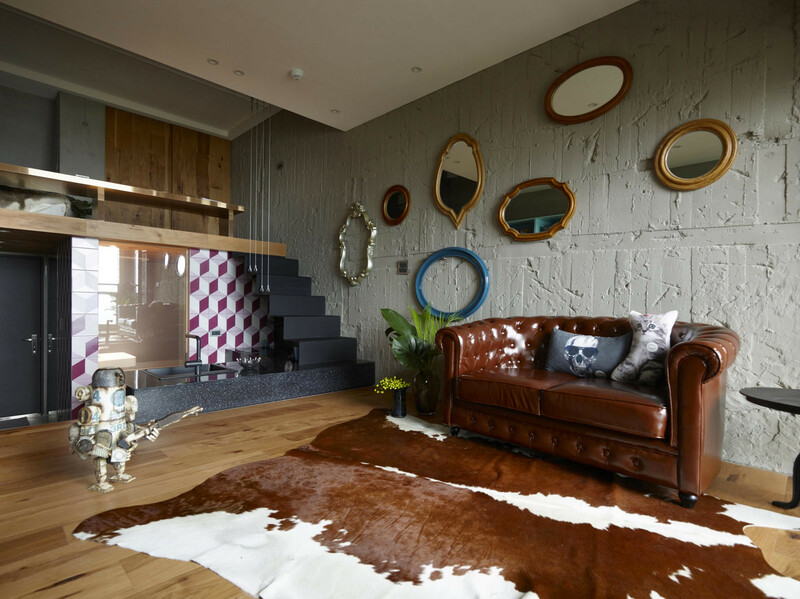 The stunning spaces, along with the eclectic living room are mixed with fun and playful textures that make this apartment unforgettable.